In the north region of the Rocha Municipality in Uruguay, farmers are using rice hulls in compost to obtain a high quality organic fertilizer. This process eliminates waste, recycles micronutrients into the soil, minimizes toxins by composting hulls rather than burning them, and improves soil fertility by boosting the humus content of soil organic matter, thus providing long-term benefits to the farm land. Meanwhile in Muramatsu, Japan, farmers are experimenting with using wheat and barley to aid the process of watermelon cultivation (1). Mowing matured stalks of wheat and barley provide living mulch which allows watermelons to grown on this straw bed the following year, thus returning biomass to the soil, conserving soil moisture and reducing weed growth (1). Smallholder farmers in developing countries are likely to be among those hardest hit by climate change because of agriculture’s dependence on weather and industrial agricultures low level of resilience to climate variability. For many years farmers have been using agroecological farming techniques that improve soil fertility, recycle nutrients, eliminate toxins and help to reduce the effects of climate change. 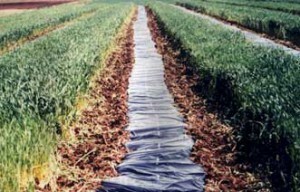 Similarly, alternative farmer’s organisations have been calling for carbon-capture farming techniques as part of the solution to climate change. More recently, ‘innovative’ approaches have been developed to meet this challenge. According to the World Bank and the UN’s Food and Agriculture Organisation (FAO), ‘climate-smart agriculture’ is a system that provides developing country farmers a “triple win”; helping them to 1) adapt to climate change, 2) increase yields, and 3) mitigate climate change by reducing emissions or sequestering carbon (2). On the surface, this approach resonates with the demands of farmers and civil society organisations. However, many of these groups have expressed criticism of the ‘climate-smart’ agenda, given that the Global Alliance for Climate Smart Agriculture (launched 2014) is made up of governments, formal institutions, civil societies and the business sector, including many large chemical fertiliser companies – all of whom want to have influence over climate decision-making and consequential policies. So what’s innovative about the alliance-led ‘climate-smart approaches’? And what’s really in it for fertiliser companies, other than simply keeping their foot in the door? They may not be household names, but global agribusinesses Cargill, Yara and Tyson have a bigger climate footprint than the Netherlands, Vietnam or Colombia, according to a new analysis from the NGO Global Justice Now. It is most often the case that food companies only report their direct emissions, excluding the vast majority of direct emissions from their supply chains. This drastically affects the reported results. US animal feed manufacturer Cargill declares its annual emissions as 15m tonnes (3). According to Global Justice Now’s estimations, if this included emissions from growing feed crops and their use by livestock, Cargill’s climate impact would be more like 145m tonnes – comparable to the combined national emissions of Denmark, Bulgaria and Sweden (4). Despite statistics released by the International Panel on Climate Change (IPCC) stating that for every 100kg of nitrogen fertiliser applied to the soil, one kg ends up in the atmosphere as nitrous oxide, new research shows that these figures are in fact three to five times too low (5). Grain notes that yearly outputs of chemical fertilisers generate more GHG emissions than the total emissions from all cars and trucks driven in the US (5). It is evident that millions of tonnes of climate emissions are concealed from public knowledge, hidden amidst a mass of confusing figures, intangible statistics and unclear data collection.It’s fair to say that chemical fertilisers are addictive and destructive. Destroying natural nitrogen deposits found in soil, farmers are forced to use more and more fertilisers every year to maintain growth. Over the past 40 years, the efficiency of nitrogen fertilisers has decreased by two-thirds and their consumption per hectare has increased by a factor of seven. 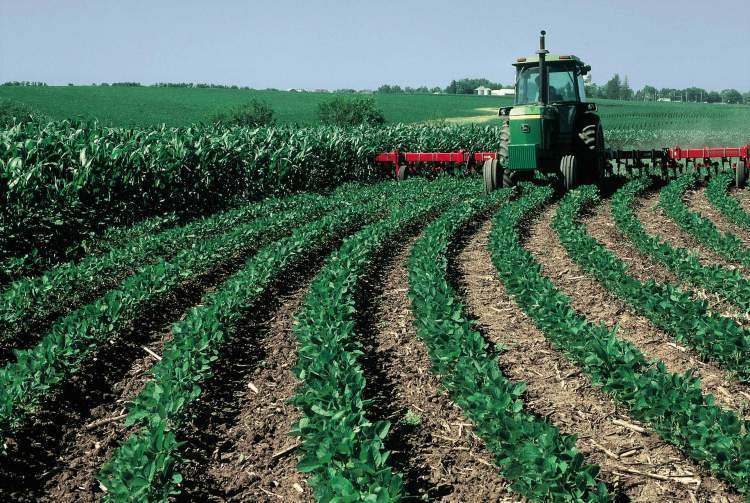 Despite lobbyists arguing the contrary, recent studies demonstrate that chemical fertilisers are responsible for much of the earth’s lost organic soil matter. The overall contribution of chemical fertilisers to climate change has quite clearly been underestimated. If recent research into shale gas dependency and the environmental impacts on soil organic matter are included, estimates of GHG emissions from chemical fertilisers could reach 10% (5). With this growing body of evidence, alongside proof that agroecological practices can feed the world without the use of chemical products, fertiliser industries are facing a dilemma: how to brand themselves as necessary and simultaneously sustainable. Their aggressive move towards control of the international debate on agriculture and climate change is a strategic attempt to position themselves as part of the solution to climate change. Today the Global Alliance for Climate Smart Agriculture is predominantly made up of fertiliser companies, fertiliser front groups and NGOs working directly with them. 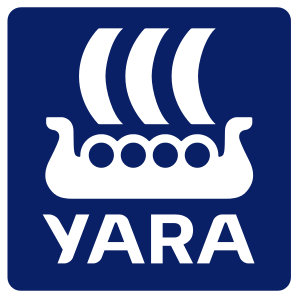 Under the banner of ‘climate smart agriculture’, fertiliser companies such as Yara, Mosaic and TNC, have been able to lobby for voluntary, company–led programmes that promote the use of their products. Sadly, the Global Alliance has not given a clear definition of what climate-smart agriculture is. As repeated in the leaflet presenting the Alliance, “membership in the Alliance does not create any binding obligations and each member individually determines the nature of its participation” (6). Any concrete definition would mean reviewing pre-existing ‘climate smart’ practises that in actual fact do very little for the environment. The abstract terminology and ‘green’ rhetoric allows terms such as, ‘sustainable intensification’ to fall under the ‘climate smart’ umbrella. The logic of this term permits increased productivity under the assumption that it results in less deforestation and thus reduced GHG emissions. This effectively allows the fertiliser industry to continue with business as usual. “We now know the big oil and coal companies are creating environmental havoc, but agribusiness still gets away with painting itself as the ‘solution to climate change’ despite causing huge damage to the climate,” says Alex Scrivener, policy officer at Global Justice Now (7). For some, ‘climate-smart’ means incorporating abstract and often ill-used terms such as ‘sustainable’, ‘green’ and ‘ecological’ into their business rhetoric. The ambiguity of the agenda leaves the door wide open for green-washing strategies, with companies like MacDonald’s, Kellogg’s and Walmart each having ‘committed’ to ‘climate-smart’ approaches. Considering that members are free to join and report on their ‘climate-smart’ activities voluntarily, there is very little accountability in membership. Much like global governmental climate policy, agreements are based on pledges that have little to no legal standing. Moreover, the projects that are submitted as ‘climate-smart’ can, and often are, only loosely related to the climate – and often in line with only one or two of the three pillars outlined by the Alliance. Assessing the effectiveness of such projects is thus extremely difficult. Entering global discussions under the ‘climate smart’ umbrella allows fertiliser companies and big agribusinesses to infiltrate climate policy making. Once policies have been made, and phrases adopted, the disguise become a universal one, able to be used by companies across the agribusiness sector – labelling their activities as ‘climate smart’. It would be wrong to say that ‘climate-smart agriculture’ programmes pursued by the Alliance are wrong. In principle they are valuable ideas that, if implemented properly, could work well at reducing emissions caused by agriculture. 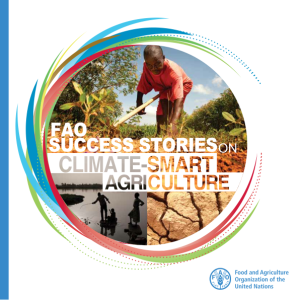 The FAO produced a sourcebook and an accompanying list of ten climate smart “success stories”, however their ‘success’ is questionable. All of the examples are top-down extension programmes, including a nitrogen fertiliser application that focuses on small-scale farmers in the South whose contributions to climate change are negligible. Changes to the agricultural system are vital if levels of GHG emissions are to be reduced. Yet it is evident that no government will adopt measures to reduce emissions if they threaten the nation’s ability to feed its population. On the flip side of this, a failure to reduce GHG emissions and make the shift towards less chemical intensive farming methods will put future food security at risk. The elimination of chemical fertilisers and a switch to agroecological practices is one of the easiest and most effective places to start and could drastically reduce emissions. There are also the added benefits for the livelihoods of farmers as well as for food safety and nutrition. 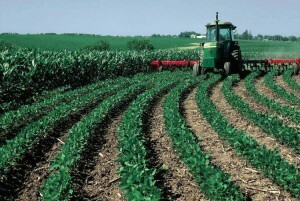 Fertiliser companies may claim that if we stopped using their products we would have to plough up the earth’s remaining forests in order to meet global food needs, however many studies show that farmers using simple agroecological practices can produce as much food without the use of chemical fertilisers on the same amount of land. In addition to this, a United Nations study into agroecological practices spanning 57 developing countries looked at the effect of applying diverse agroecological technologies to farming practices (8). It found that the average crop yield was 79 percent more than the yields harvested from previous production practices (8). The significance of small scale, family farms worldwide was acknowledged by Jose Graziano da Silva, Director General of the FAO in 2014. However, despite his team’s research revealing that 80 percent of the world’s farmland is managed by small scale farmers (“family farms”), he did not once mention a need for land reform (9). Addiction to intensive, large scale farming methods and the use of chemical fertilisers is a political one. Unless large agribusinesses loosen their grip on climate policy makers, no meaningful action will occur. 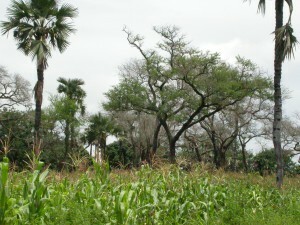 Framed as a concept to tackle climate change and to help productivity in developing communities, ‘climate smart agriculture’ in principle includes many pre-existing field and farm-based sustainable agricultural land management practices; conservation tillage, agroforestry and residue management among others. The FAO’s definition of ‘climate smart agriculture’ includes “adopting an ecosystem approach, working at landscape scale and ensuring intersectoral coordination and cooperation” (10). Local-based knowledge, inclusion and coordination would provide the Alliance with a world of insights into effective GHG reducing practices. However, as has already been noted, inclusion is not something that the Alliance does well, and making a concrete change towards agroecological practices is not on the agenda. Agroecology and climate smart agriculture are similar in principle – both are concerned with the maintenance of a productive agriculture that sustains yields and optimizes the use of local resources with minimal damage to the environment. The contemporary challenges of agriculture have evolved from the merely technical to also include social, cultural, economic and particularly environmental concerns. Agroecology promotes farming practices such as the recycling of nutrients, the use of renewable resources, natural inputs and adjusting to the environment (11). 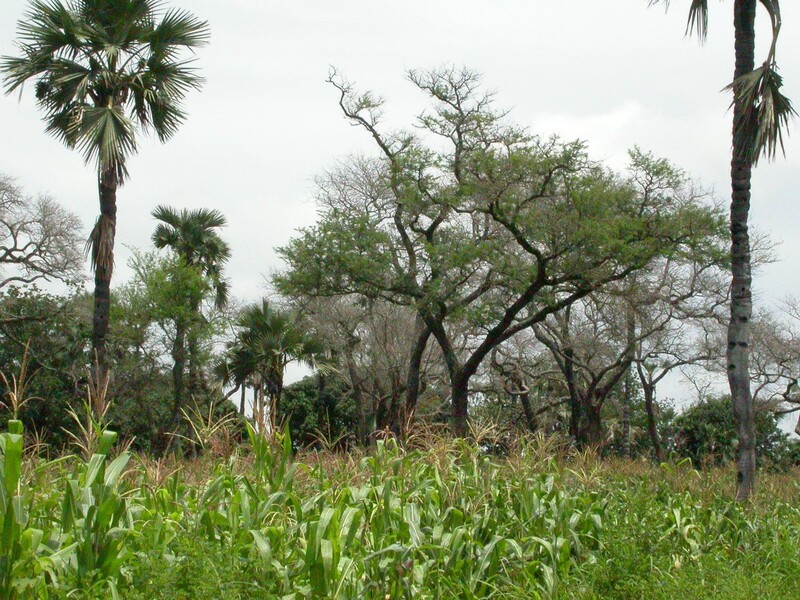 Agroforestry, the use of live fences or intermingled crops and trees, increase resilience of local communities by providing a diversity of fruits, nuts, fuel, timber and habitat, whilst also reducing soil erosion and maintaining higher levels of biomass than annually tilled crops. Livestock management strategies are some of the most crucial for the climate. Improved pasture and grassland management, including restoration of degraded land and rotational grazing are critical for climate change resilience. Converting manure into biogas as well as improved feed mixes and nutritional supplements can also decrease methane emissions. Such strategies cannot easily be applied to large scale intensive factory farms, so if implemented, these strategies will lead to an overall decrease in global production of meat and other animal products, necessitating changes to price and consumer habits. None of these farming practices are new. Many of them are done on a small scale, yet in principle could be scaled-up without the need for chemical fertilisers or high mechanical inputs. A multi-stakeholder agreement is necessary to implement such practices globally. According to a review on climate smart agriculture published in Agriculture and Food Security, “To successfully promote and sustain them over time, in the context of dynamic economic, social, ecological and climate conditions, requires at multi-stakeholder planning, supportive landscape governance and resource tenure, spatially-targeted investment in the landscape that supports climate-smart objectives, and tracking the multiple dimensions of change to determine if social, economic, ecosystem and climate goals are being met at different scales” (12). The voices of those already practising ‘climate smart’ farming must therefore be included, and not brushed under the carpet by multinational stakeholders whose interest is keeping alive an agricultural system fuelled by intensification and chemical usage. A letter signed by more than 100 civil society organisation rejecting the Global Alliance for Climate Smart Agriculture, points out that industrial agricultural approaches that increase GHG emissions are using the ‘climate smart’ rhetoric as a green mask under which to pursue agribusiness as usual (13). The phrase itself is often misused and lacks clarification, however if defended from its misappropriation by large companies, the term ‘climate-smart’ makes perfect sense when referring to agricultural practices that reduce the devastating consequences of climate change. As a term it is perhaps not interchangeable with the concept of ‘agroecology’ (which does not relate specifically to tackling climate change) however agroecological farming techniques are indeed very climate smart. Large farms receive the most financial credit and technical assistance, yet have lower efficiency in relation to input and surface area covered. This is largely due to their low levels of employment and heavy use of machinery and fertilisers, in order to maximise returns on investment. Agroecological practices that aim to promote self-sufficiency and food sovereignty would mean that Western countries would likely import less, use more labour and thus food prices would rise. The benefits to the climate, and consequentially life on earth, are far greater than any short term financial drawbacks for Western companies and consumers. Small farmers are in comparison much better at utilising biodiversity, maintaining landscapes and contributing to local economies through the promotion of social cohesion and job opportunities. There is no doubt that food systems need a drastic change in order to survive changing weather patterns, and that certain parts of the chain are major contributors to climate change. Real solutions come in the form of replacing harmful farming practices like the use of chemical fertilisers with agroecological methods of production. A re-distribution of farmland alongside the low-input, localised techniques that are really ‘climate smart’ would minimise the need for large agribusinesses, hence their desperate attempts to control policy. Yet to tackle climate change head on and feed a growing global population, this is exactly what is needed.